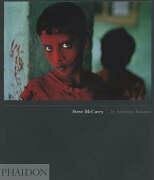 The first monograph on American Magnum photographer Steve McCurry (b. 1950) which covers all facets of his work. McCurry's photographs capture human experience in the best documentary tradition and transcend boundaries of language and culture; he has also covered many areas of international conflict from the Iran-Iraq War and Beirut to the Gulf War.